The robotic lawn mower is a great choice for gardens of up to 1,000 m2. A solid lithium-ion battery allows it to manage slopes of up to ±30 % (17°). When mowing it is very quiet: its volume is only about 60 dB. For the robot mower, up to three variable starting points can be defined. On complex surfaces it reliably finds its way into areas and secondary areas, which are difficult to reach, and which are only connected to the main zone through narrow passages. An evenly cut lawn is guaranteed. The Gardena Sileno life 1000 robot lawn mower automatically recognizes narrow passages. 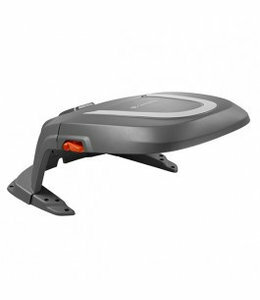 With the "EasyPassage" function, it adapts his navigation accordingly and manages the spot particularly skillfully and efficiently. A user-friendly LCD display allows you to program an individual mowing plan for your robotic lawn mower. The lawn robot reliably follows this plan and mows even in rainy weather. When the battery level is low, it returns to the charging station, where it automatically recharges. The robot mower navigates randomly through the garden. It cuts the lawn with three rotating blades. The cutting height can be adjusted between 20 and 50 mm. When mowing, it produces fine mulch, as the tiny grass clippings fall down to the ground. There they serve the lawn as a natural fertilizer and moisturizer. The result is a lush green, healthy lawn. 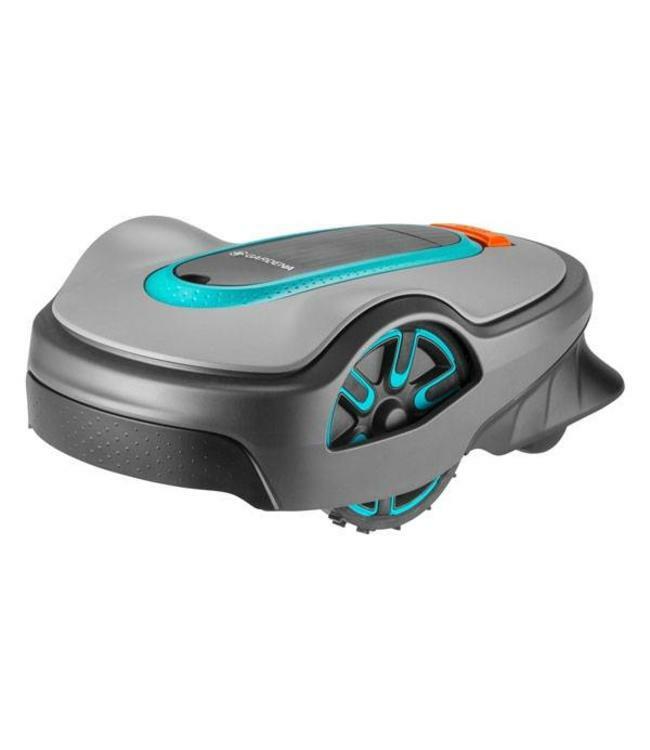 The robotic lawn mower is equipped with the Gardena "SensorCut" feature. Thus, the Gardena Sileno life 1000 can optimize its mowing frequency according to the grass growth: In drought, it starts less often to prevent the lawn from drying out. In rainy weather and increased grass growth it increases the mowing frequency again. Your lawn will automatically receive exactly the care it needs. The Gardena Sileno life 1000 has many safety features: Lift and tilt sensors ensure that the knives stop immediately, in case the robot lawn mower is lifted or tilted to the side. A collision sensor recognizes when the robot hits an obstacle. In consequence, it immediately changes the direction. PIN code and an anti-theft system additionally ensure safety. The robot lawn mower can start mowing after just a few steps. The scope of delivery includes all accessory parts required for the initial installation: boundary wire, cable pegs and connector as well as a detailed instruction manual. The Gardena Sileno life 1000 is very light and compact with only 8 kg. It may – in contrast to other lawn mowers ­ be cleaned with the garden hose/ under running water. This makes it easy to clean the robot quickly and easily.